Washington, Nov 15 - Microsoft has announced a browser based version of Skype that will allow users to make audio and video Skype calls on any system. According to PC World, Skype says the new beta web app will be rolling out very slowly to a small number of existing and new users, with a worldwide release expected in the coming months. 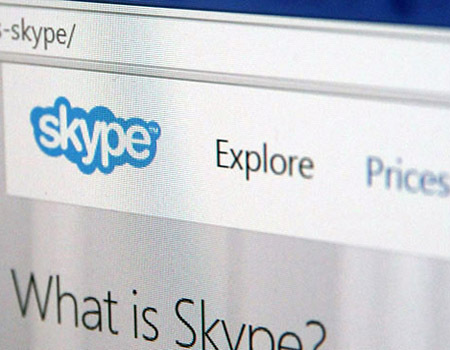 The software giant says the beta version of Skype launched for Web will allow users to log into their Skype accounts from all browsers, including Internet Explorer, Chrome, Firefox and Safari.